Our Verdict: Very poor selection, average performance, and overpriced products make Vapor Craze one of the last online vape stores one should visit. If you have no choice and have to shop there, then by all means, go. Unfortunately, many superior brands are making Vapor Craze a last resort for the desperate. BeginnersPrice: $19.99 The most basic device in Vapor Craze’s limited inventory, the Jump Start E-Cigarette is a decent beginner’s kit. With a 200mAh battery, vaping times are extremely limited. The kit is a bit expensive, especially since all users get is a battery, a clearomizer, and a USB charger. For the same price, other brands offer two batteries and some e-liquid cartridges. The only advantage the Jump Start has is the inclusion of a 1.2ml capacity clearomizer. Beginner and Advanced UsersPrice: $150 The Noble 1 is Vapor Craze’s flagship device. It’s a hybrid mod, meaning the tank and battery is one piece. Other mods are able to use various atomizers and tanks, but with the Noble 1, users are stuck with the same tank/battery combo. Being a Genesis-style device, wherein it is bottom fed using a steel mesh as wick, the flavor and vapor production from it is very good. There is also a fill hole that’s easy to fill, which is a nice touch. The tank doesn’t come with pre-coiled wicks, so users should be knowledgeable about rebuilding coils. Being a Genesis-style tank, the learning curve here is pretty steep and it can take days, sometimes weeks, of practice before coils are perfected. This is definitely a mod for advanced users. The device is powered by a single removable battery, which is good. While one battery is enough to last a day and a half of vape times, being able to swap it out with a fresh one means you don’t have to stop vaping when you lose battery life. This would mean carrying an extra spare battery. Beginners and Advanced UsersPrice: $99 The Noble 2 is the successor to the Noble 1, but is more affordable and slimmer. It also has a reduced chamber for a more intense flavor. Like its predecessor, the Noble 2 is a hybrid device with a Genesis-style tank built-in. It has an ergonomic body and is easier to pocket than the Noble 1. It vapes well, produces good vapor, and costs less than the original Noble. Like the Noble 1, the tank in the Noble 2 is a Genesis-style tank, which takes some practice to perfect. Rebuilding coils with steel mesh requires oxidizing the mesh first to avoid short circuits. It’s a lengthy process that takes a lot of patience. Beginners are advised to get something else unless they’re prepared to be frustrated while they go through the learning process. The Noble 2 uses the same-sized batteries as the Noble 1, so swapping one from the other is no problem. 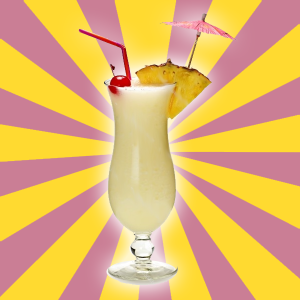 Price: $8 and up Vapor Craze has a decent range of e-liquid flavors in their store. It can’t compare with what other, more established, vendors offer, but for many users, the size of its selection is sufficient. Information about its e-liquid is scarce. Users will have a hard time finding out what ingredients are used and how they are prepared. Their website has no mention of it anywhere. The packaging is cheap, reminding users of cheap, China-made e-liquid. Flavor is decent; not great, but not necessarily bad. For the price, you’re better served looking elsewhere, unless there’s one flavor in particular that they carry that you can’t live without. The Disrupter truly disrupts the whole vape market since it has record breaking features that justly appeal to the advanced user. This kit is designed for superior vaping and is one of Revolver’s best products today. It comes in a variety of colors and includes a free 30ml bottle of the Revolver Max VG Drip eLiquid that you can choose from their five fruity flavors. This kit is sold at a surprising $89.99, with a complete set that guarantees long-term use delivered by its overall durable build and advanced elements. Any serious vaper would never hesitate investing in such a powerful kit. They might not be the biggest e-cig and e-liquid supplier in the world, but they have enough of a selection to keep most people happy. If you need a variable voltage device or mechanical mod, there is a couple. 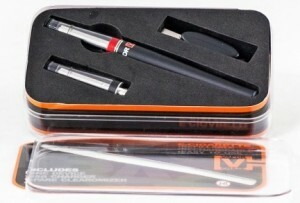 If you want a pen-style or cig-a-like e-cig then you will find a couple of those to choose from as well. As long as you do not expect to be just inundated in choices you will get along with vapor Craze just fine. They are a no frills company that seems to want to take care of their customers and that is something that I can get used to. Like some of the recent sites that I have come across Vapor Craze seems to be a bit on the high side when it comes to price. They do stock other brands as well as their own, but the quality of their products is the big question. How do they stand up to the name brands? In general, they do ok. They have some well-made devices and accessories and there are a couple that are just like any other product on the market. I have read reports of one of their rebuildable tanks leaking but can that be the tank or the builder’s hands? Hard to say. Vapor Craze started out back in 2010 when it was known as 310vapers. It started out with one product and then grew in size after adding more items to its inventory. While the brand enjoyed a bout of popularity a few years back, these days, it seems like the “craze” in Vapor Craze has died down. It was mentioned that the Vapor Craze brand has a limited range of products and the above list proves it. Including e-liquid, they only have four products in their line-up: one beginner device, two advanced user devices, and a limited range of e-liquid. The Vapor Craze store has other devices on sale, though these are from other manufacturers and modders. Even then, the list of devices on sale isn’t exactly robust. Some of the third-party devices that they carry are pretty good performers, with a couple being excellent mods in their own right. As an online vape store, they still fall short of being, at least, satisfactory. As a brand, they’re a failure. Vapor Craze had a decent following once; around two or three years ago they were a rising star in the e-cig circuit. Today, it seems they are but a shadow of their former selves. Whether it’s a case ofmismanagement, or lack of drive from the owners, Vapor Craze seems to be a brand on the decline.